Cheerful spring planter of white and yellow pansies in graceful container. 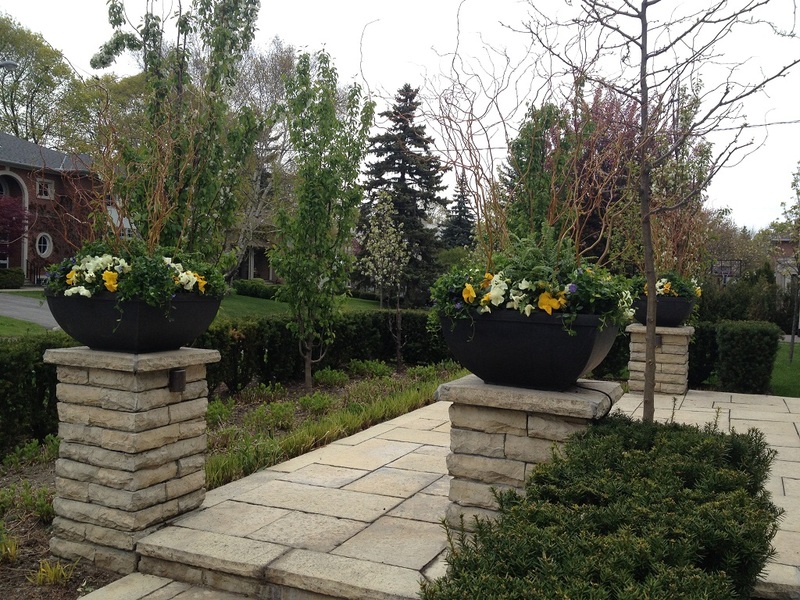 Elegant spring main entrance decoration. 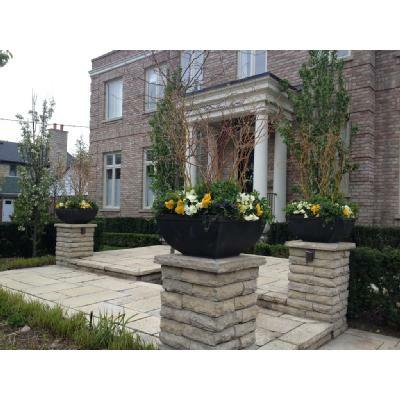 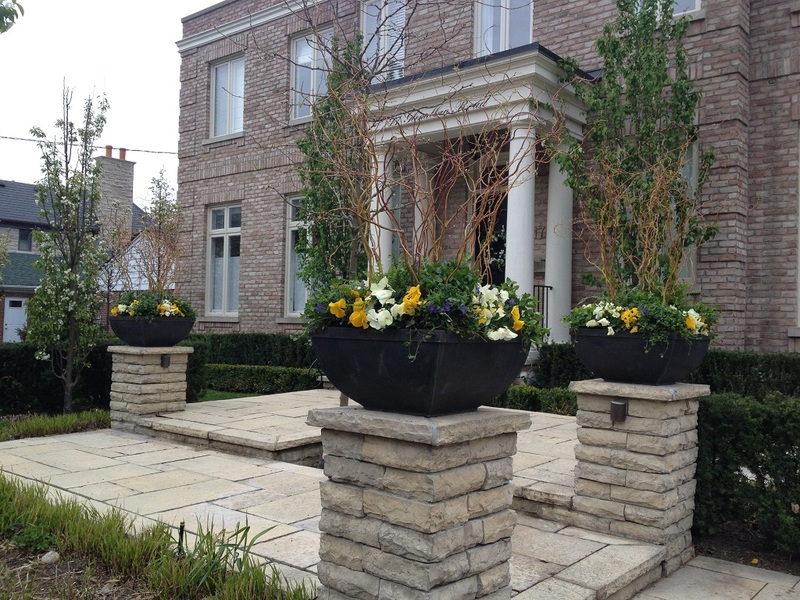 Spring pots installation in Toronto and GTA. 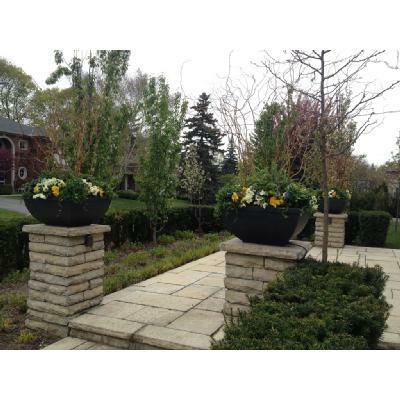 Enjoy online catalog of chic Toronto planters from city top floral and horticultural boutique. 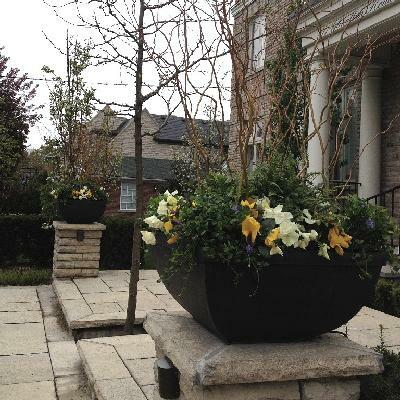 If you need any help please call our Toronto flower shop.